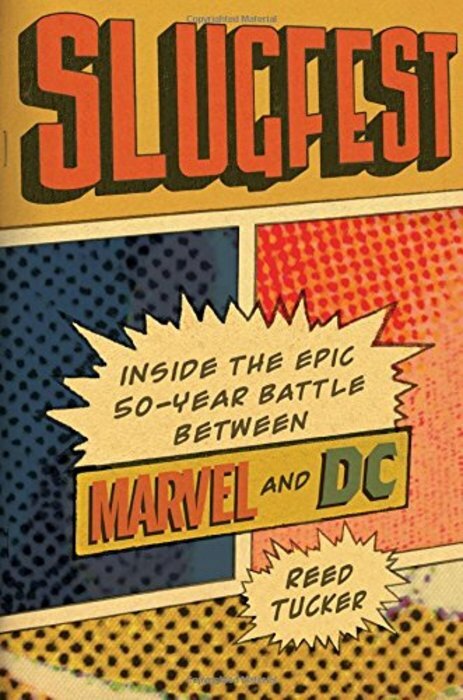 The first in-depth, behind-the-scenes book treatment of the rivalry between the two comic book giants. THEY ARE THE TWO TITANS OF THE COMIC BOOK INDUSTRY--the Coke and Pepsi of superheroes--and for more than 50 years, Marvel and DC have been locked in an epic battle for spandex supremacy. At stake is not just sales, but cultural relevancy and the hearts of millions of fans. To many partisans, Marvel is now on top. But for much of the early 20th century, it was DC that was the undisputed leader, having launched the American superhero genre with the 1938 publication of Joe Shuster and Jerry Siegel's Superman strip. DC's titles sold millions of copies every year, and its iconic characters were familiar to nearly everyone in America. Superman, Batman, Wonder Woman--DC had them all. And then in 1961, an upstart company came out of nowhere to smack mighty DC in the chops. With the publication of Fantastic Four #1, Marvel changed the way superheroes stories were done. Writer-editor Stan Lee, artists Jack Kirby, and the talented Marvel bullpen subsequently unleashed a string of dazzling new creations, including the Avengers, Hulk, Spider-Man, the X-Men, and Iron Man. Marvel's rise forever split fandom into two opposing tribes. Suddenly the most telling question you could ask a superhero lover became "Marvel or DC?" Slugfest, the first book to chronicle the history of this epic rivalry into a single, in-depth narrative, is the story of the greatest corporate rivalry never told. Complete with interviews with the major names in the industry, Slugfest reveals the arsenal of schemes the two companies have employed in their attempts to outmaneuver the competition, whether it be stealing ideas, poaching employees, planting spies, or launching price wars. The feud has never completely disappeared, and it simmers on a low boil to this day. With DC and Marvel characters becoming global icons worth billions, if anything, the stakes are higher now than ever before.